What’s happening in this photo? I’ll give you 3 guesses. If you guessed shimmy contest, you’re very close. This is Shlomo. 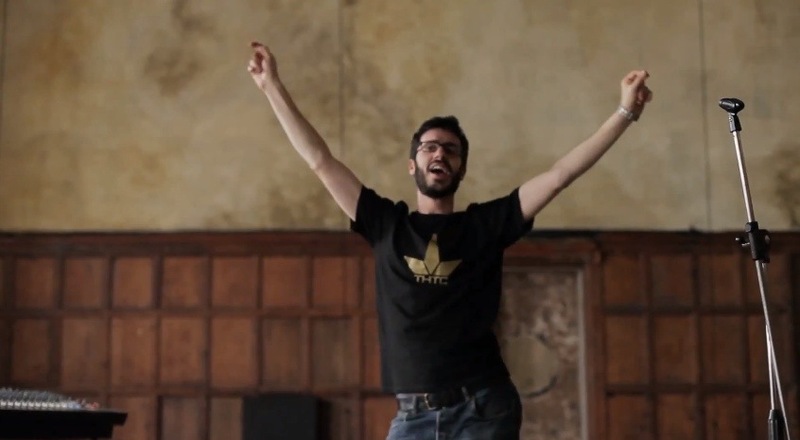 Shlomo is an astrophysicist-turned-British-beatboxer. Shlomo is telling a really charming story about the parties his Iraqi-Jewish grandparents threw when he was 3 years old – using only his voice and a loop pedal. Oh, and Shlomo is bellydancing. I seriously, seriously need to get invited to his next family dinner. That was actually really cool!